Lisbon Arsenal Suites is a small boutique hotel with 24 accommodation units that offers comfort, personalized service for each guest. We are the first unit with the innovative concept of Hotel Museum - a unique experience that unites the history of Arsenal Street with the symbolism of each era and the expected comfort of a hotel. 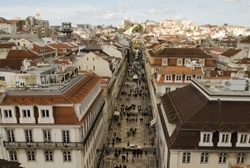 The Lisbon Arsenal Suites is strategically located in the heart of downtown Lisbon. Within walking distance of 2 minutes, we find reference restaurants, cafes and typical Souvenier and Gourmet shops of the capital. The hotel offers facilities with individual air-conditioning, soundproof windows, cable TV, safe, telephone, desk and free Wi-Fi, the individual bathrooms to each unit accommodation with ammenities and hair dryer. Lisbon Arsenal Suites ... It is a small boutique hotel with 24 accommodation units that offers comfort, personalized service for each guest feel the experience of being inside a rehabilitated historic building, next to the Commerce Square. Each floor reveals unique and historic events that took place at Arsenal Street in every era of modern and contemporary history. 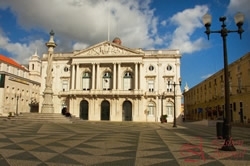 Inside each accommodation unit you will be able to appreciate the Portuguese art, contemporary with regard to its period. The accommodation units have anti-allergic floor and we have rooms with necessary conditions for guests with reduced mobility. Within 2 minutes walking distance, we find reference restaurants, cafes and typical Souvenir and Gourmet shops of the capital.